Ketchikan, Alaska - After competing for over eight weeks in three different categories, Jessica Graham was crowned Ketchikan's Fourth of July Queen Sunday evening at the South East Alaska Discovery Center. Jessica Graham was crowned Ketchikan's Fourth of July Queen Sunday evening. Four young women competed for the crown in the categories of 1) Presentation Forum, 2) community involvement and 3) raffle ticket sales. According to information provided by Lisa Machado for The Lions Club, the presentation forum was held at the Discovery Center on Friday, July 1st. The four women vying for the crown had opportunities to present speeches, dances and slide shows to earn points. Community involvement including volunteerism, leadership and membership in organizations also earned points for the contestants. 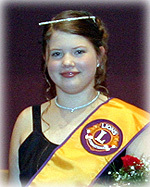 According to the Lions Club, all the young women are very involved in the community. The third category was the individual raffle ticket sales by each contestant. Masters of Ceremonies were Bob Combs, local Special Olympics director and Tony Azure, local Boys and Girls Club Manager. They spoke briefly about each young lady and her involvements in the community in numerous ways. Their hard work in this contest has raised $3,850 to be divided between the Fourth Fireworks, Boys and Girls Clubs and Special Olympics. The Lions Club's Fourth of July Fireworks fund is the recipient of half the ticket sales. 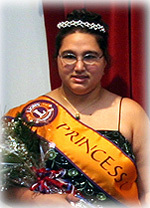 After consideration of all the points earned in the three categories, the 2005 Fourth of July Queen and her court were announced. 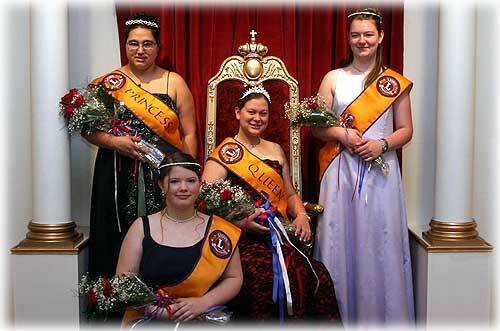 Chelsea Goucher, the 2004 Fourth of July queen crowned the new 2005 Queen Jessica Graham and the members of her court. Roberta Gutierrez was chosen as 1st Princess with Taushia Hohorst and Katrina McCollough being named members of the Queen's Court. After the crowing ceremony Sunday evening, the ticket raffle drawing was held in the Salmon Landing Market. 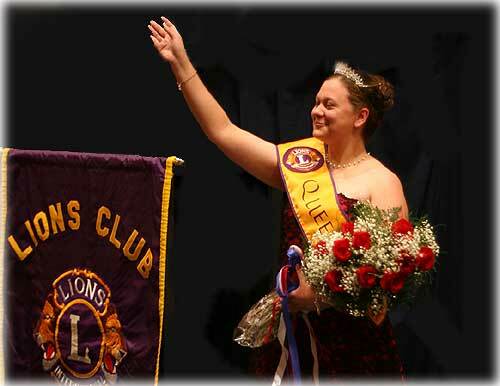 The Lions Club will announce the winners after the winners are notified. Top prize is $500, second prize $200 and third prize is $50. Jessica Graham, wearing the Queen's crown and the ermine lined cape, and her Court had their photographs taken at Czars Treasures on the morning of the Fourth of July. The Queen and her Court then rode in the parade in trucks provided by Lewis Chevrolet. 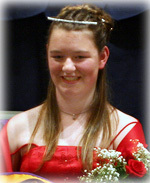 Queen Jessica Graham is 17 years old and is entering her senior year at Ketchikan High School. She is involved in many organizations like Ketchikan Theatre Ballet and recently returned from Girls State. Graham is the part time nanny for 3 small children and a hostess at Annabelle's. She entered contest because wanted to help the different organizations involved. 1st Princess Roberta Gutierrez was born in Albuquerque New Mexico and grew up in Ketchikan. She attended White Cliff, Houghtaling, Schoenbar Middle school and Ketchikan High School where she graduated from this last May. She wants to go to college in Juneau to become a teacher of the Visually Impaired, as she was born Visually Impaired. Court member Katrina McCollough will attend Ketchikan High School as a sophomore. She is very active in the Pep band, Wind Ensemble, and Choir. McCollough is also involved with McPherson's Discovery Jazz Band. Her dream is to continue on with her studies in music and write her own music, as well as play it. In her spare time she can be seen at the Warehouse, or the Boys and Girls Club with her friends or volunteering to help the younger children. Court member Taushia Hohorst will be in her sophomore year at Ketchikan High School. She is a current member of the Boys and Girls Club, is involved in their Teen Leadership program called Keystone, and serves as the current vice president of Keystone.